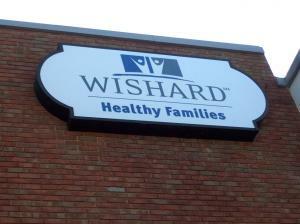 Sign cabinets are one of the most cost-effective sign solutions available! 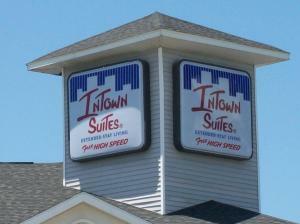 In simple terms a sign cabinet is often referred to as a box sign. This can be misleading though, since the options for these signs are endless. 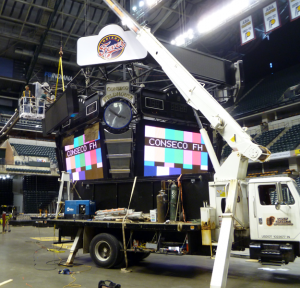 When you are shopping for your next sign cabinet in Indianapolis or abroad, there are many variables to consider and discuss with your sign consultant. 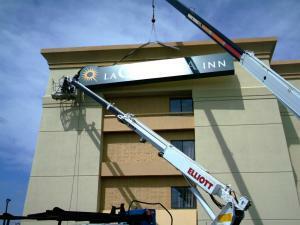 Lighting is a key factor, and at ISF Signs we use LED illumination that is second to none. There are also many different face styles available for your sign cabinet, such as polycarbonate, pan-formed polycarbonate, aluminum routed, push-thru acrylic and flex face. Each one of them has their own sets of benefits. Sign cabinets used to be almost always illuminated with lamps. Reason being, it was the cheapest way to fill your sign cabinet with the appropriate amount of lighting for a fraction of the cost. 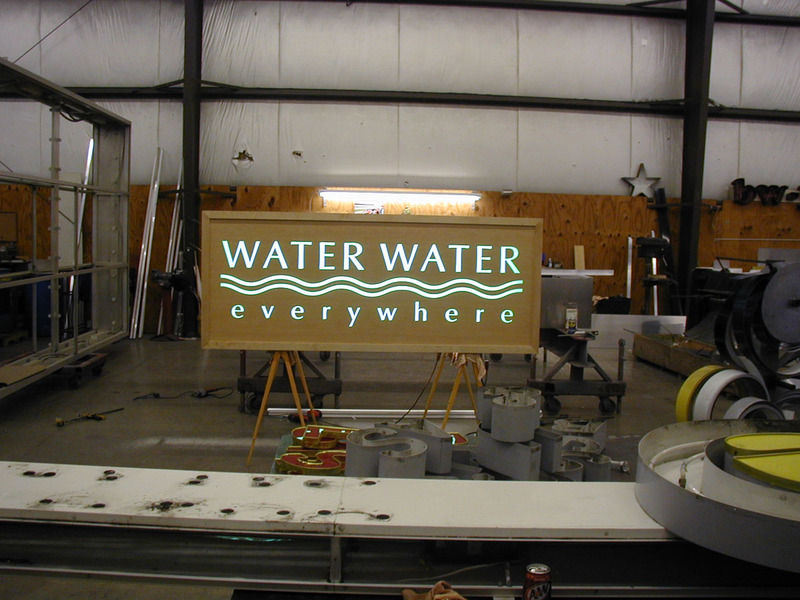 LEDs have come a long way, and in most cases, it is more cost effective to use LEDs for lighting your sign cabinet. That doesn’t even take into account the years of energy savings and even more costly service repairs it will save you. 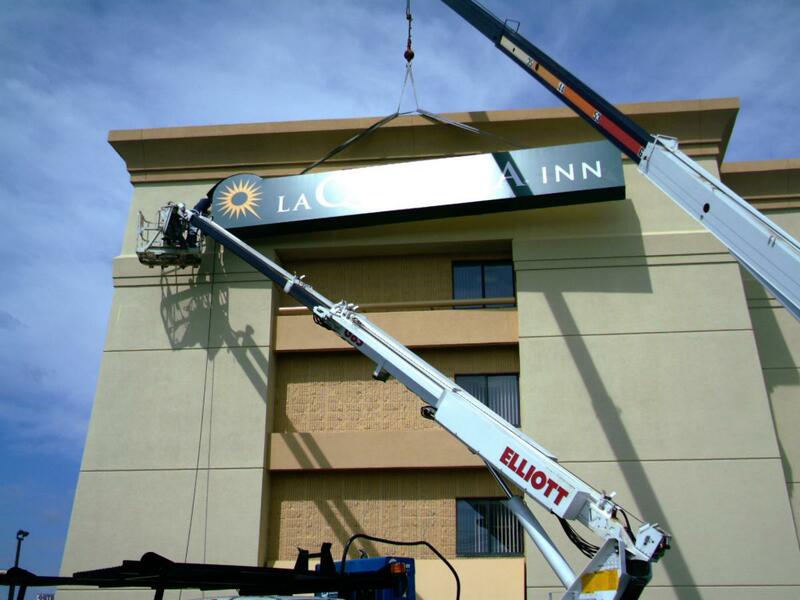 At ISF Signs we use the best LEDs that we have field tested in the harshest environments and have found a product that is cost effective and has the brightness to make your sign cabinet stand out! The majority of sign cabinet’s faces are made out of polycarbonate. The benefits of polycarbonate faces are that it has a lot more flexibility than does acrylic. Because polycarbonate has more flexibility, it is able to be sold on large reels. This means that as far as length goes, we can make one continuous face with no seams. While polycarbonate has become better for UV stability in the sun, one drawback of this substrate is that it can yellow over time, just like many other polymers. If your sign cabinet faces south (especially southwest) you will notice yellowing more rapidly than if it were to face north. The yellowing is less of a concern if your face will be covered almost completely with graphics. Pan formed faces are also made of polycarbonate. The benefit of having your face being pan formed is that it will add rigidity to your sign face. 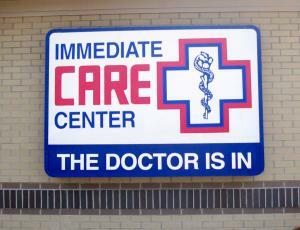 If your sign cabinet is pretty large, especially both vertically and horizontally, then using a pan formed face is a great solution. You have probably driven by a multi-tenant pylon sign and seen blown out faces. 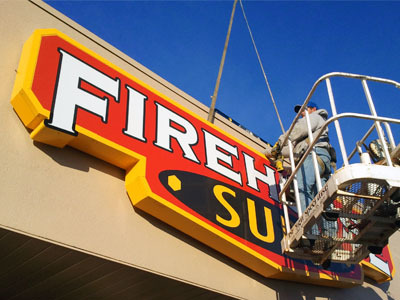 This is usually due to the fact that the sign company went the cheap and easy route and used flat polycarbonate faces, where they should have chosen a different option. Flex faces are used primarily in VERY LARGE sign cabinets, such as the ones found atop large pylon signs, or on high-rise buildings were the viewer can be hundreds of feet away. 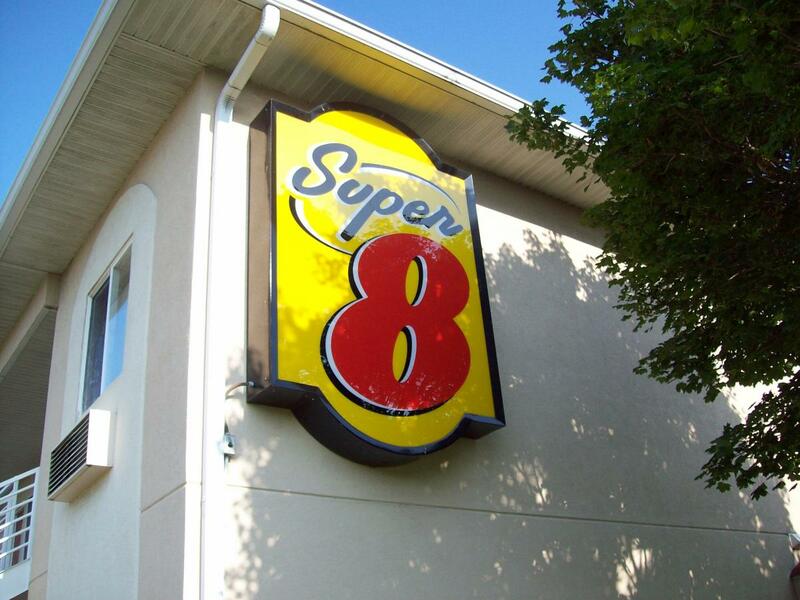 These signs use flexible translucent vinyl with digitally printed graphics and are back-lit to appear vividly bright at night, but also remain rich and vibrant during the day. We offer PMS color matching on all of our prints to hold tight to your brand standards. 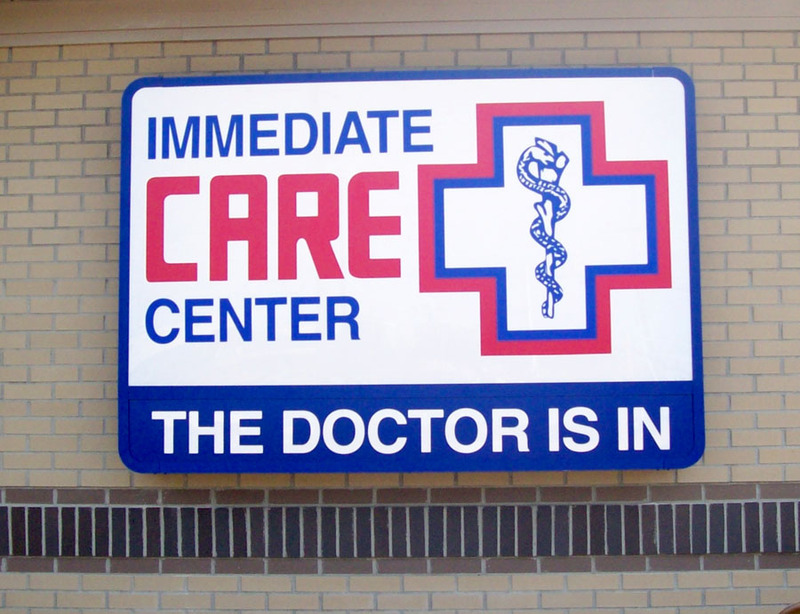 With an aluminum sign cabinet face, your company has the ability to customize your sign cabinet face in several different ways. One option would be to route the face, cutting out your logo and wording, and then adding push-thru acrylic. Another option would be to add channel letters over your aluminum sign cabinet face. When you apply this approach in correlation with many other options we offer you are sure to get the custom branded look you are after.